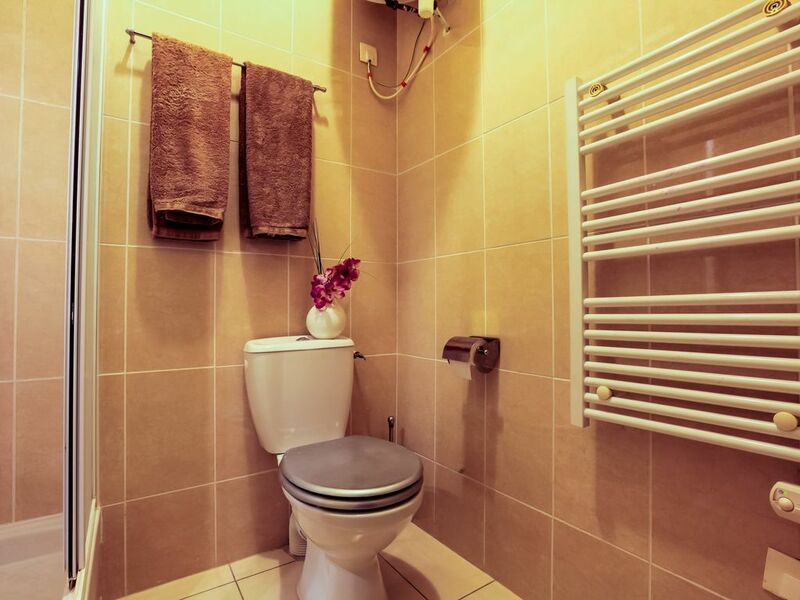 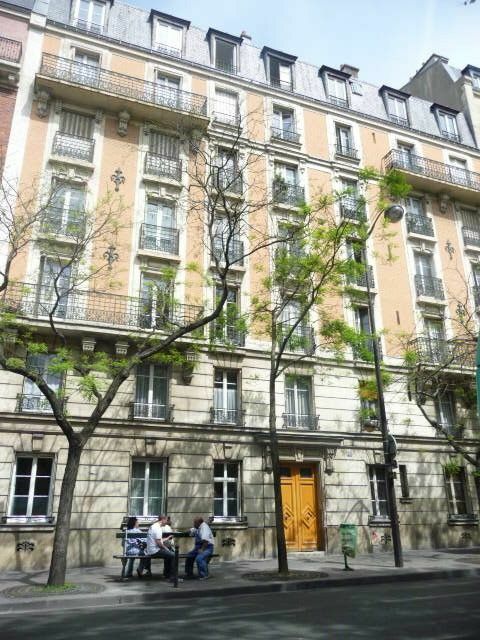 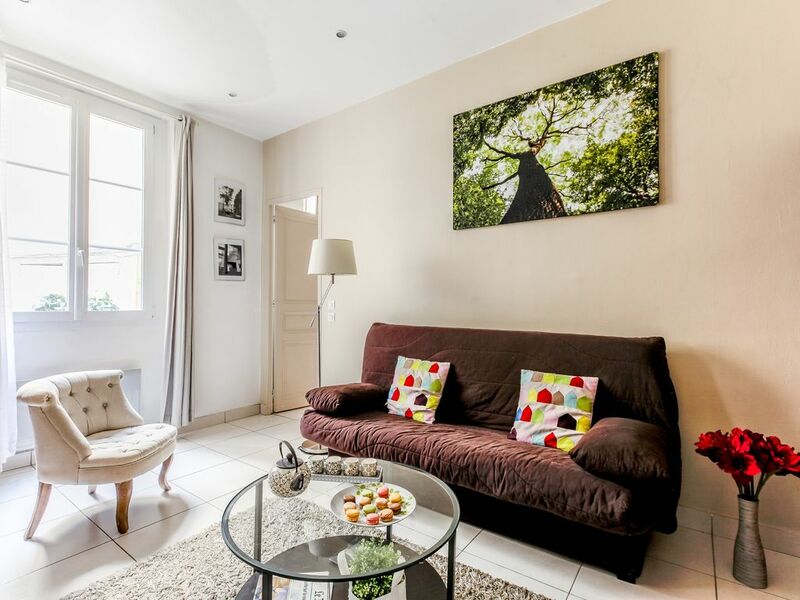 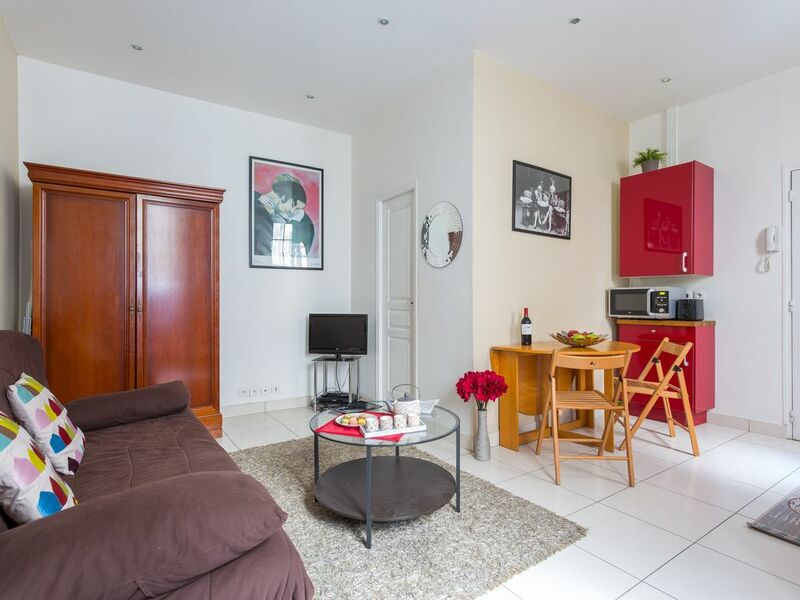 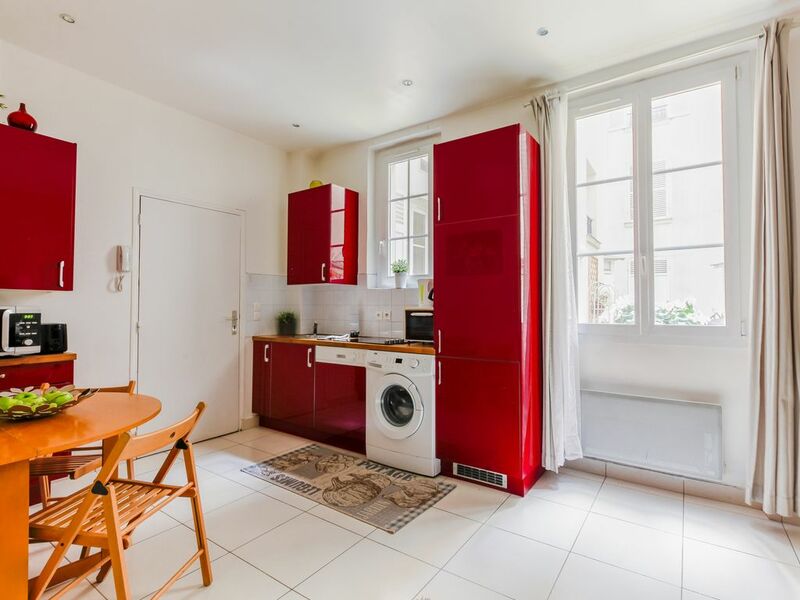 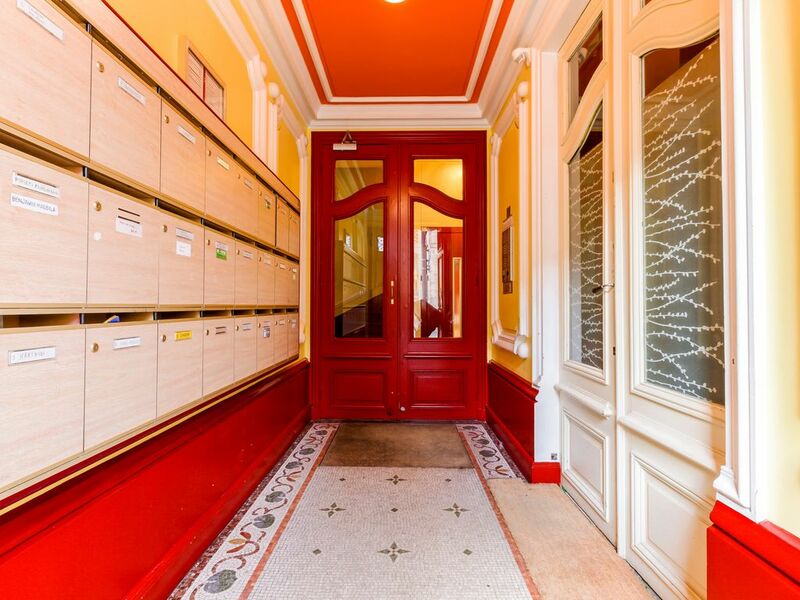 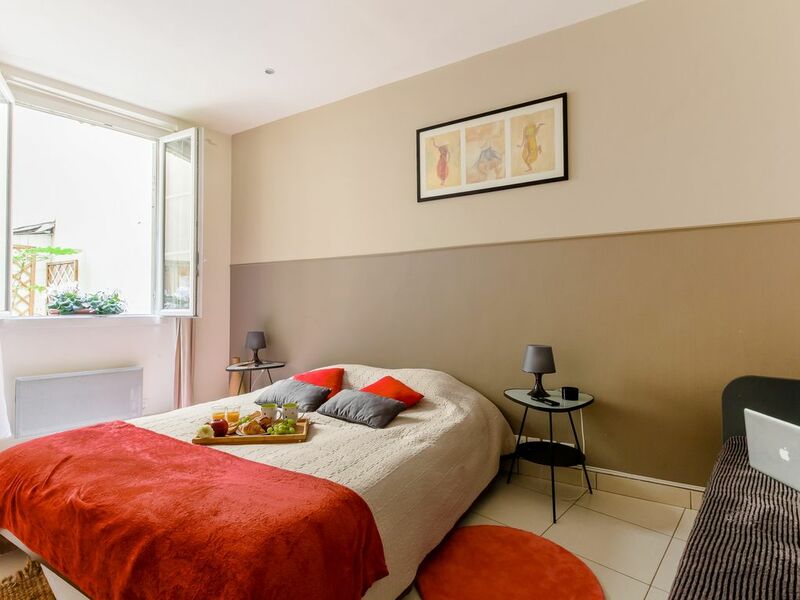 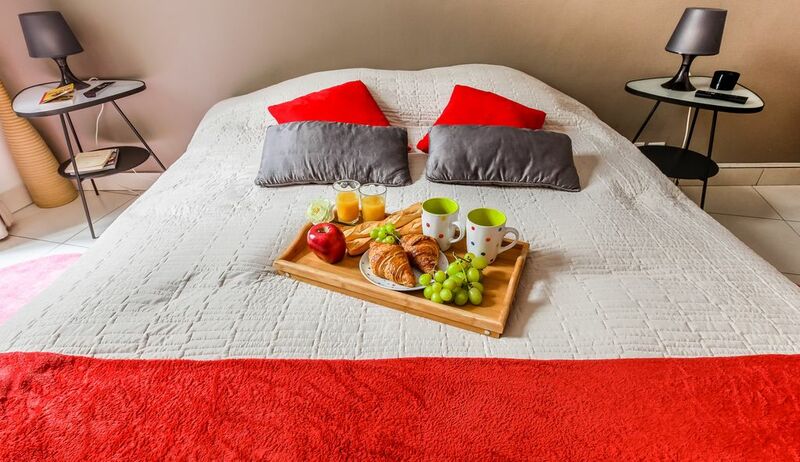 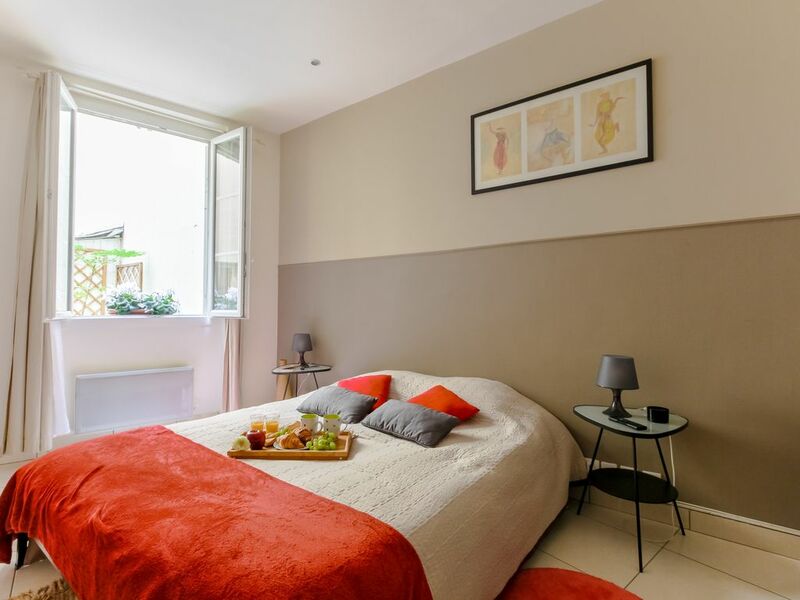 At an average of 10 minutes from all interest points of Paris, with many restaurants and shopping facilities around, the apartment is located on the ground floor (courtyard) of a beautiful building, completely secured, near the metro station 'Tolbiac' on the very central line 7. 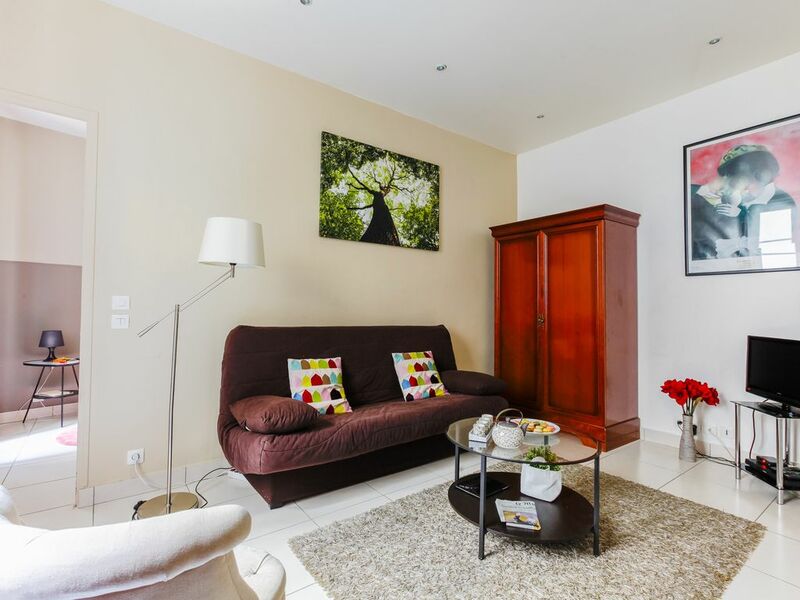 With a surface area of 42 sq.m, particularly quiet, it has been fully renovated, equipped and nicely furnished in early 2012. 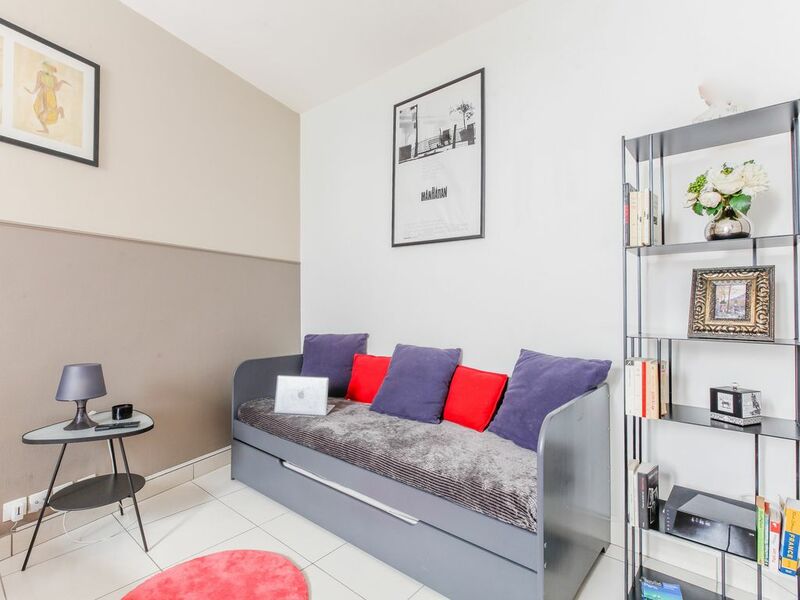 The living room, with two large windows, has a sofa-bed for 2 extra persons. 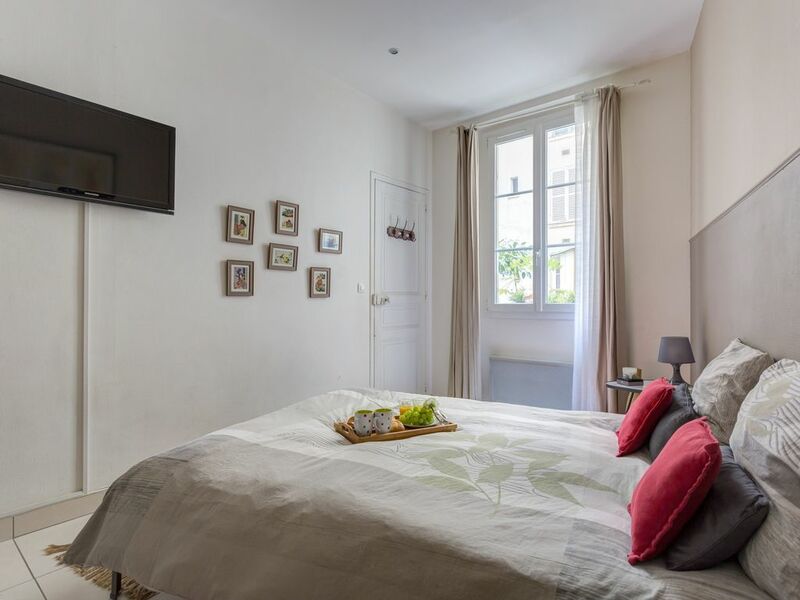 The main bedroom is romantic, with a large double bed of 160 x 200, a double window with large curtains, a flat screen TV (in addition to the one in the living room) and a beautiful wardrobe. 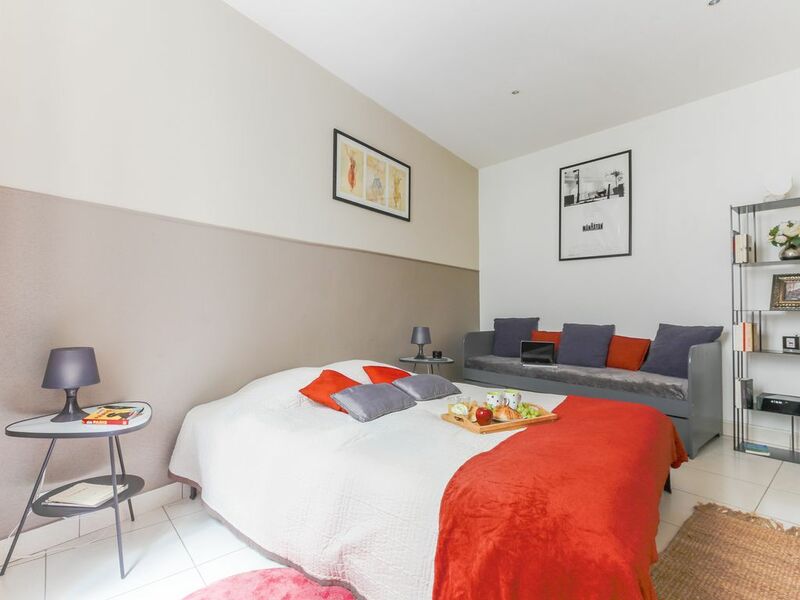 There is a second sofa bed in the bedroom for another 2 persons, so the apartment can receive 6 persons. 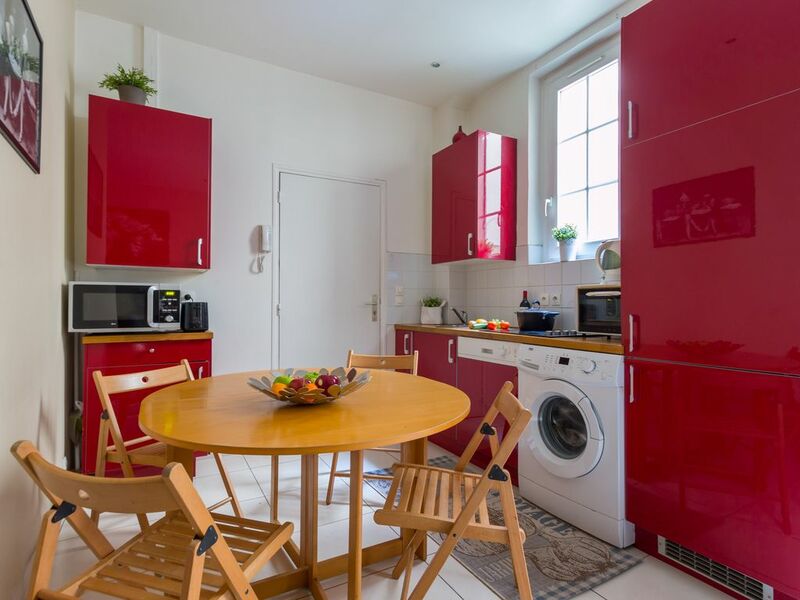 The kitchen is new and perfectly equipped for the best cooks. 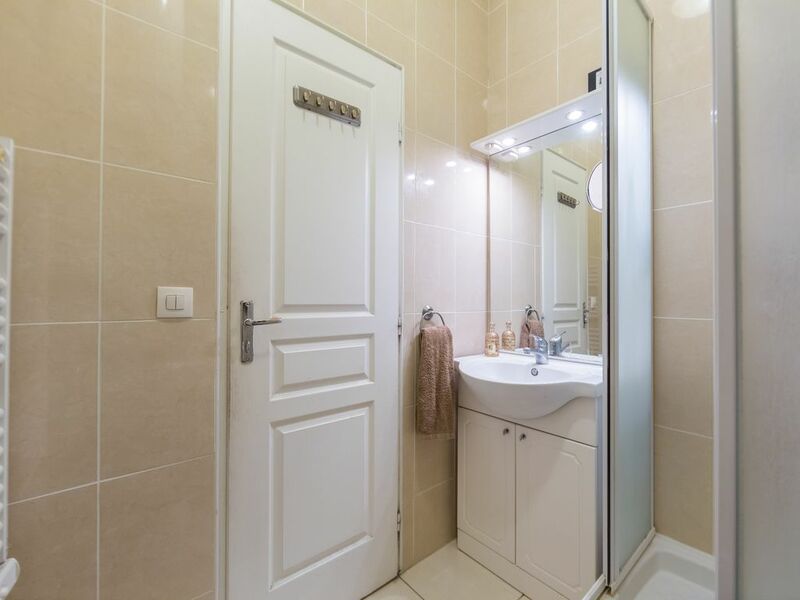 The bathroom is also new. 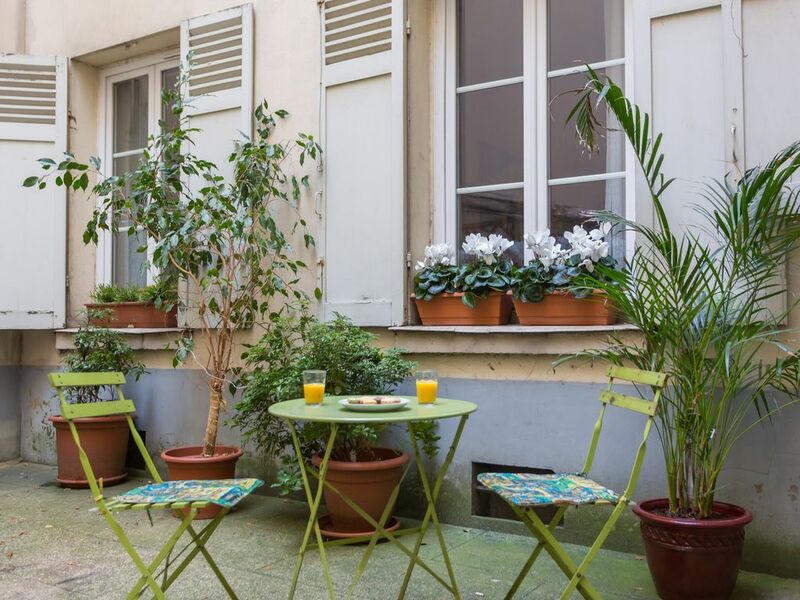 A charming and peaceful place to rest after your strolls and other pleasant activities in Paris.